Constantine Bay, North Cornwall. Sleeping 6 / 8. 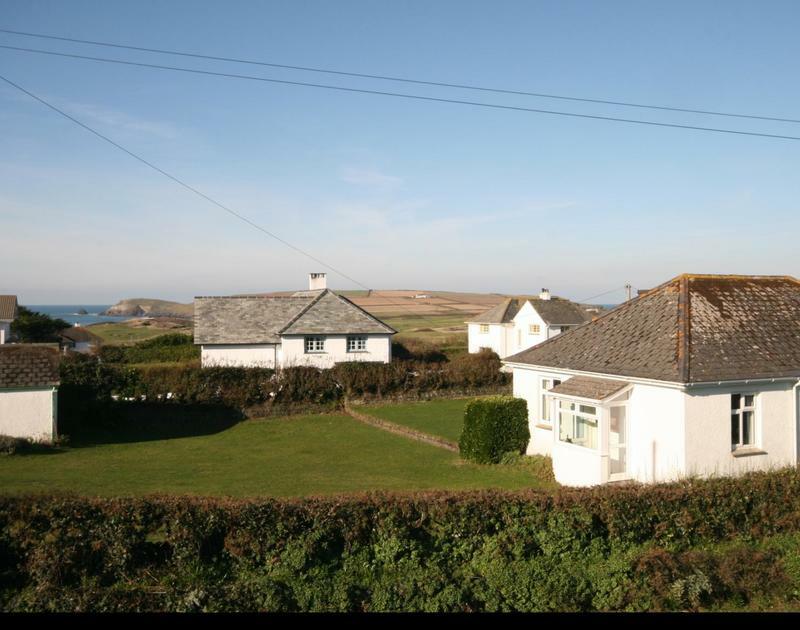 Ursula's Garden is a unique detached modern property in a quiet lane in Constantine Bay, just a short walk from the beach, either by quiet road or footpath, with views across Trevose Golf Course to the Headland from the master bedroom balcony. 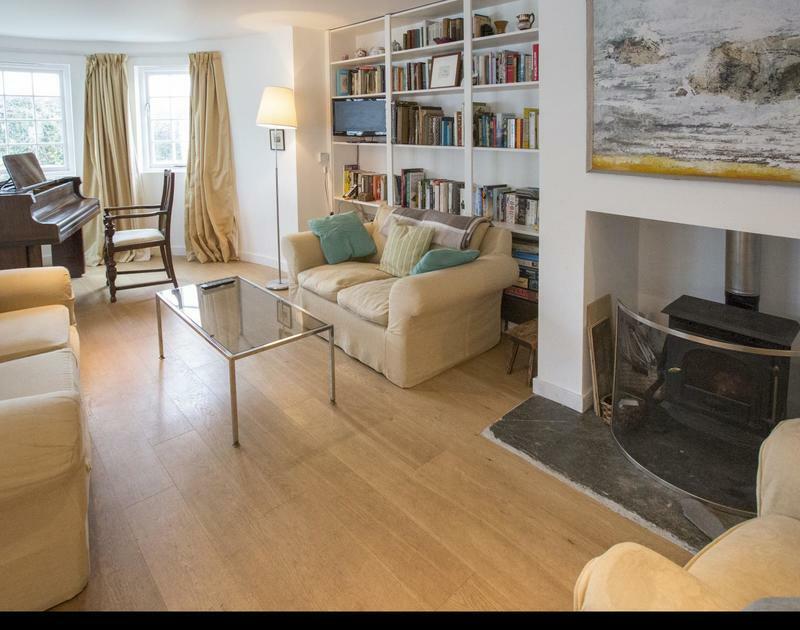 Ideally situated for access to the many beautiful beaches, the Golf Course with its tennis courts and heated swimming pool, is within 500m and Padstow is less than 5 miles away. 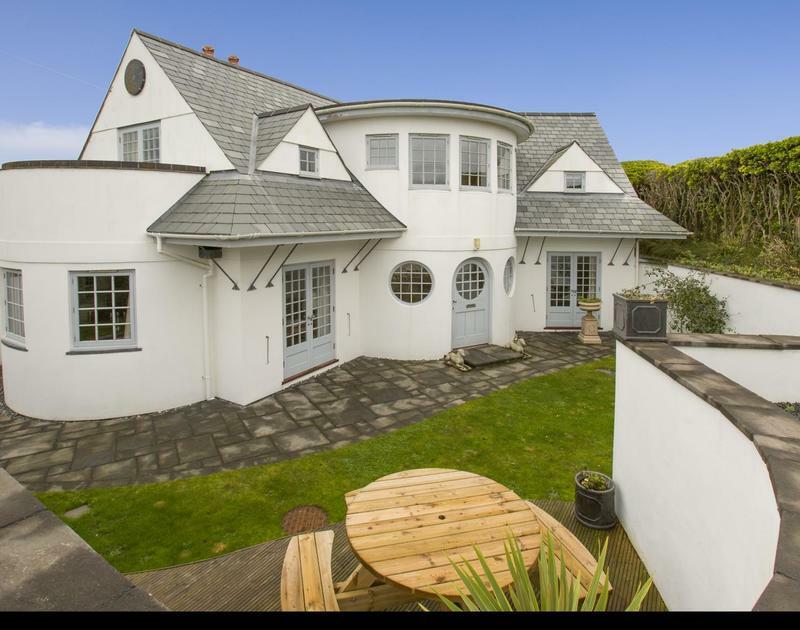 The property is built over two floors with a galleried circular entrance that doubles as a formal dining area and an open plan living room and kitchen. Ursula's Garden has 3 en-suite bedrooms and an additional cabin room that could sleep 2 children, if required. There is off road parking for 2 cars, landscaped garden with decked seating area. Galleried entrance which doubles as a formal dining area. Bedroom 1 - King size four-poster bed with seating area within room, en-suite wet room -including shower, WC and wash hand basin- and French doors out onto the front garden. 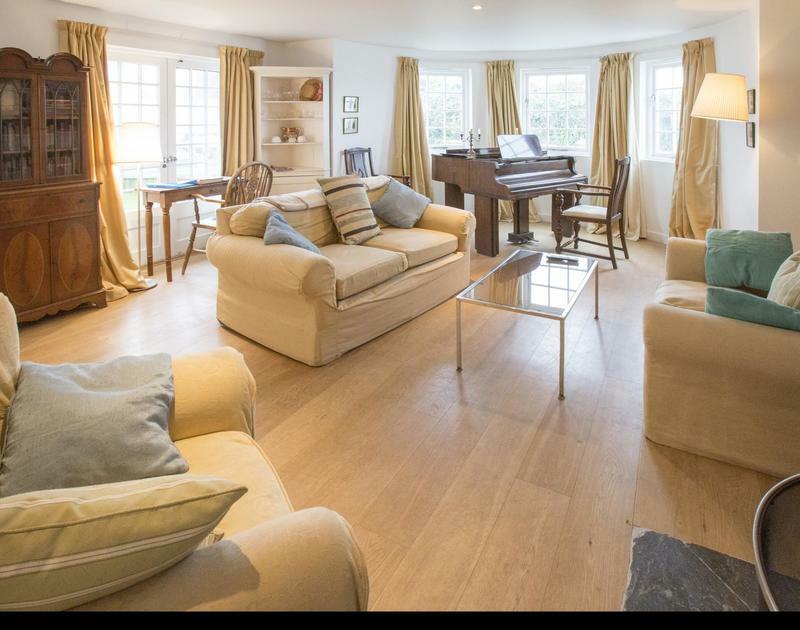 Open plan living room with grand piano and tv with freeview. French doors out onto the front garden. Wi-Fi access. 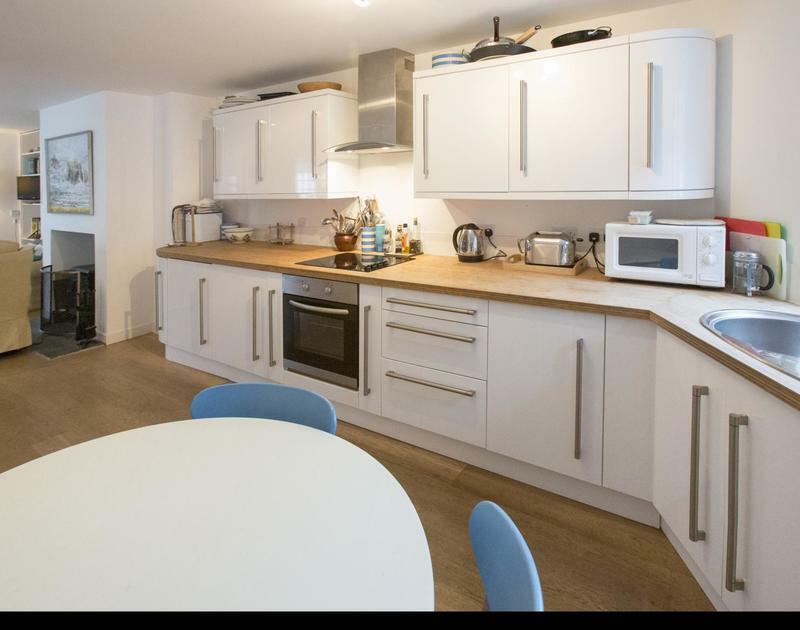 Kitchen area with seating/eating area, electric cooker and hob, integral fridge, freezer and dishwasher. 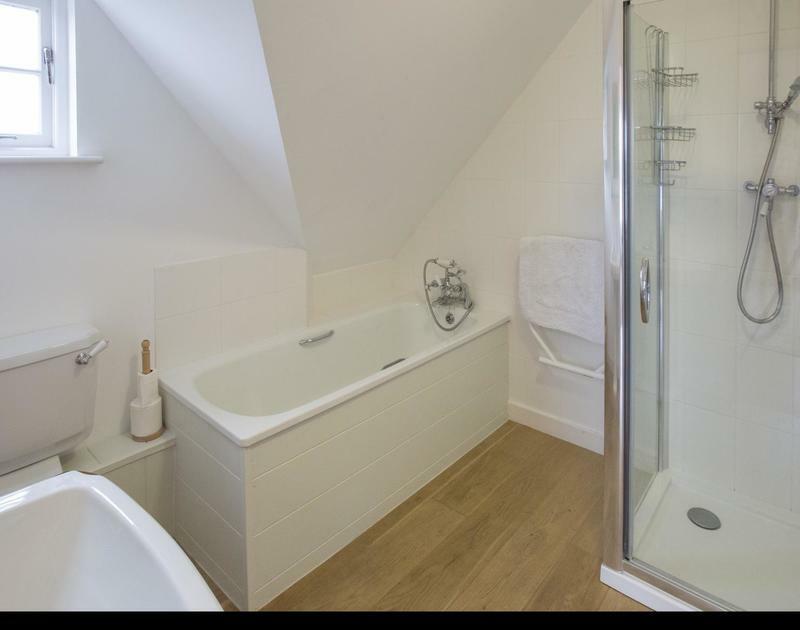 Access to utility room which is also the wet room for Bedroom 1, containing: washer, dryer and overhead drying rack. On the First floor, Cabin room-with purpose built sleeping area, ideally suited for 2 children with storage under, (this room has non standard mattresses with beds that fit the contours of the room). Bedroom 2, family room with twin beds and space for a fold-up bed if required. En-suite shower room WC and wash hand basin. Master bedroom, with King size bed, en-suite bathroom with separate shower and WC. Balcony with views to the sea in 2 directions. The outside space, includes 2 decked seating areas and lawned garden. The property benefits from underfloor heating throughout with thermostats in all rooms. 1-2 well behaved dogs allowed, £25 per pet per week. Friday changeover day is flexible out of season for weekend and special breaks. Bed linen and towels are included in the rental for 6 people. If the cabin room is required for 2 additional children there will be an additional charge, please enquire when booking. Ursula's Garden is accessed from the gravelled parking area via 8 wide steps down (no hand-rail) to the front garden of the property, with two stepping stones across the grass to the paved area that wraps around the front of the house. There is also a high level path that takes you to the rear of the property- care should be taken if using this path as there is no fencing to the left hand side of the path. There is one step up to the front door which is 41 inches/ 104.1 cm which opens into the circular dining area. From here double doors open into Bedroom 1, each door measuring 27 inches/ 68.6 cm wide. There is a 29 inch/73.7 cm wide door from this bedroom into the wet room/utility room, with a slight change to floor level where the wood floor is replaced with slate tiles. There is a second door measuring 32 inches/81.3 cm wide, from the utility/wet room which gives access to the kitchen, again with a change to the floor level due to the floor coverings. The 34.5 inch/ 87.6 cm wide back door accesses a small rear patio; there are 4 x 24 inch/61 cm wide steps up to a raised area with rotary washing line. A further 4 steps lead up to the path that leads to the parking area at the front of the property – care should be taken as no hand-rail/fence. The kitchen area opens up into the main living area and there is a slightly raised threshold to the hearth surrounding the fireplace/wood burner. There are also french doors opening onto the front garden from the living area, each measuring 27.5 inch/69.9 cm wide, with a raised threshold and one step down. 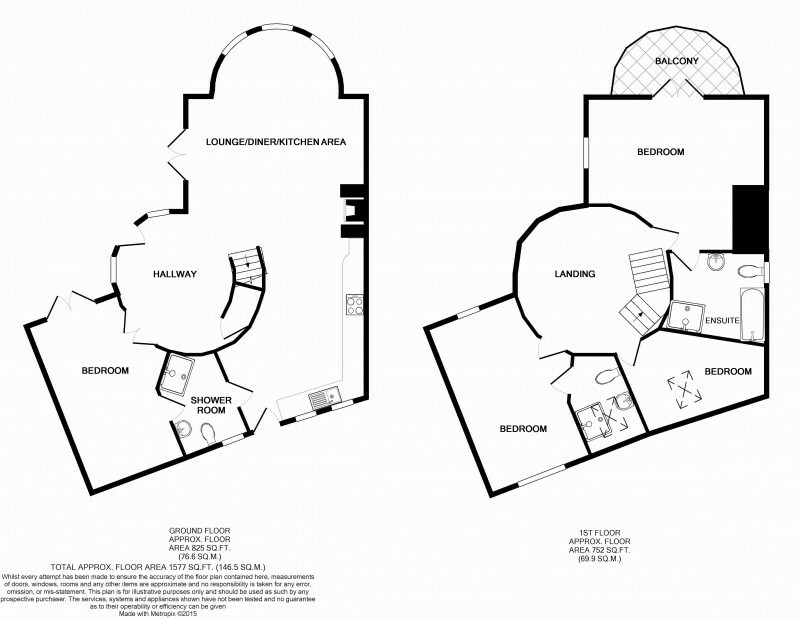 The first floor is accessed via a curved staircase within the circular galleried dining area. The staircase is 30 inches/76.2 cm wide and there is a banister on the left hand wall, there are 13 treads to the landing. All doorways upstairs are 29.5 inches/73.3 cm wide unless stated otherwise. The bunk room has a 29 inch/73.7 cm wide doorway. The beds are built along two of the walls in the room, measuring 108 inches/274.3 cm into the corner and then a further 49.5 inches/ 125.7 cm and 30.5 inches/77.5 cm wide. The room height is limited to 30 inches/76.2 cm in the corners of the room. The headroom is limited in the corners of the twin room to 28 inches/71 cm; this is due to the design of the property. Within the twin room en-suite the gap between the toilet and shower is limited to 17.5 inches/44.5 cm and there is a raise threshold to the shower. Again within the Master Bedroom the head height is restricted in the corners of the room due to the design of the property. There is a raised threshold to the balcony accessed via french doors each measuring 27 inches/ 68.6 cm wide. To the front of the property there is a paved curved patio area, a grassed area and 2 steps up to a raised decked area. 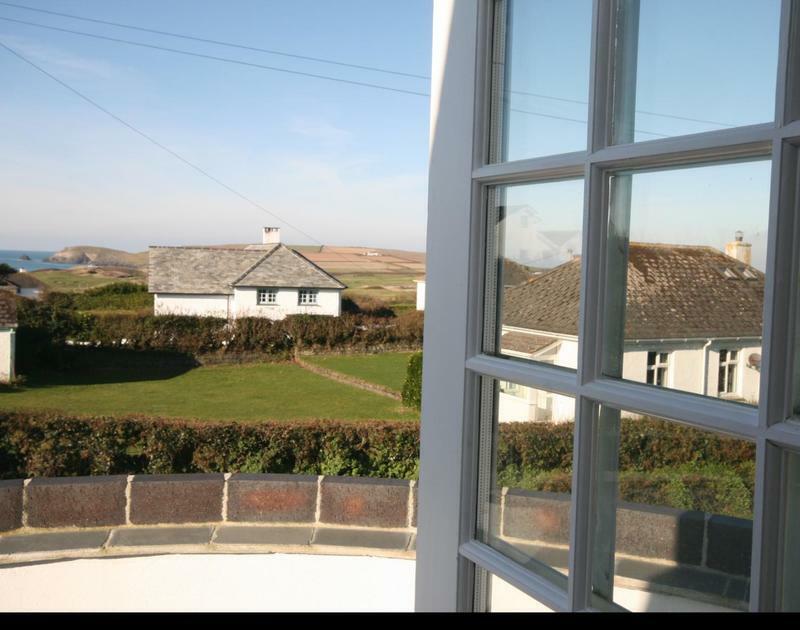 We have to give this property 10/10 in all aspects - cleanliness and appliances, beds and well decorated and Garden too.